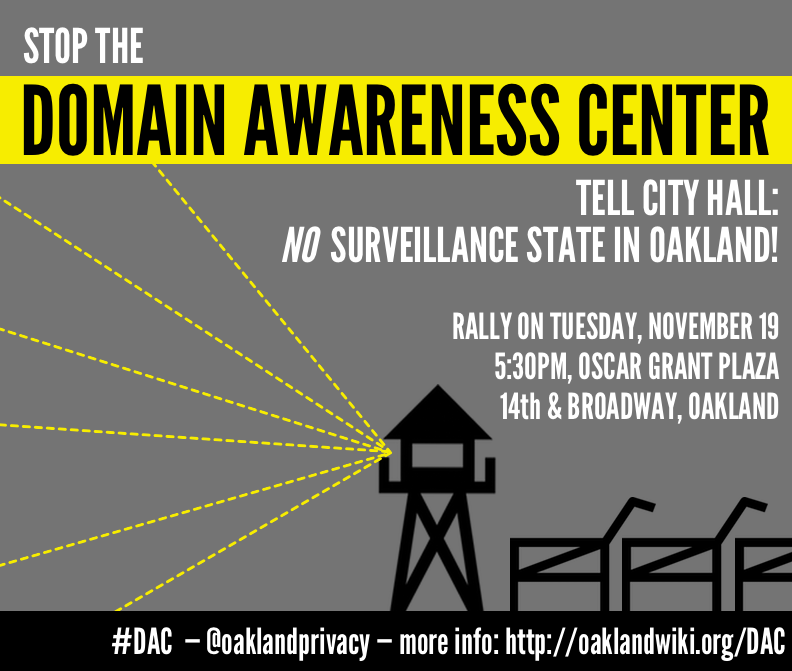 This Tuesday, November 19, Oakland City Council will hear comments on its plan to spend $7 million of DHS money on a “Domain Awareness Center” that would aggregate surveillance data from many different channels about the residents of Oakland. The New York Times wrote up some of the privacy concerns people have with such a plan. I made the flyer above (please share widely! ), will be attending, and have submitted a comment card.